The SEIU Nurse Alliance of California (NA of CA) is a leading voice for RNs in California and is part of the Service Employees International Union (SEIU), the largest and fastest-growing healthcare union in California and in the nation. Nurse Alliance is of, by, and for nurses. This philosophy means that nurses are in charge, make decisions, and work together to engage other nurses in their work to improve the quality of patient care. More than 35,000 Registered Nurses from both public and private sector health systems are part of the SEIU Nurse Alliance of California. By uniting nurses from all over California, we can speak with a collective voice to enhance patient care, save our public health systems, improve working conditions, work to ensure quality affordable and accessible healthcare, communicate more effectively with each other, and build a better future for nurses and their families. Nurse leaders on the steps of the State Capitol in Sacramento, California. Making our voices heard! Registered Nurses are driven by a desire to care for others and we can do that most effectively when we work together. The leadership of the SEIU Nurse Alliance of California makes a difference not just in the lives of our patients, but also in the standards of our profession and the quality of healthcare throughout California. The SEIU Nurse Alliance of California is a professional organization made up of public and private sector Registered Nurses from a wide variety of specialties and work sites: behavioral and mental health, critical care, development disabilities, long-term care, advanced practice such as nurse anesthetists, nurse practitioners and nurse midwives, detention and corrections, community clinics, case managers, state administrative and surveyor nurses, school nurses, home healthcare, and county trauma nurses. Nurse Alliance joins forces and works with multidisclinary professions including physicians, radiology technicians, licensed vocational nurses, respiratory therapists, pharmacists, certified nursing assistants, and more. 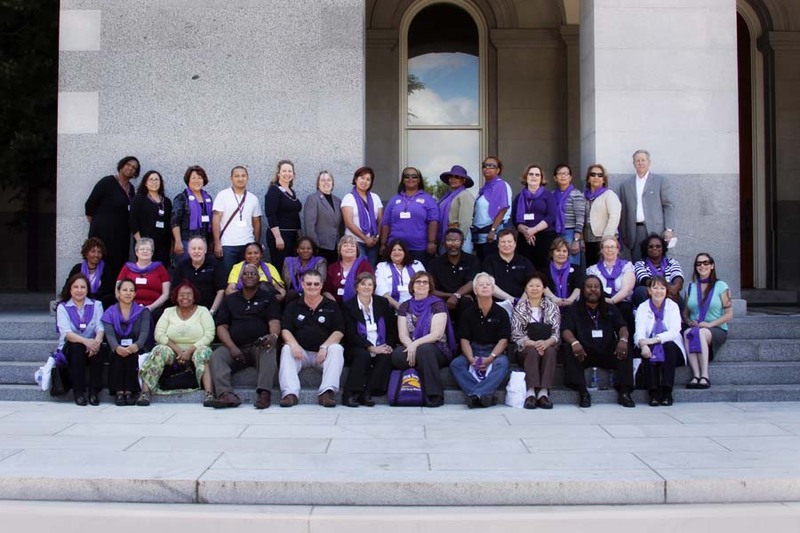 SEIU Nurse Alliance of California is an organization of advocates who are united to improve healthcare and the profession of nursing in California: through education, empowerment, and action.